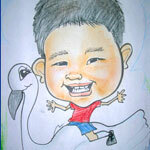 Perry’s Previews & Amzing Kids! 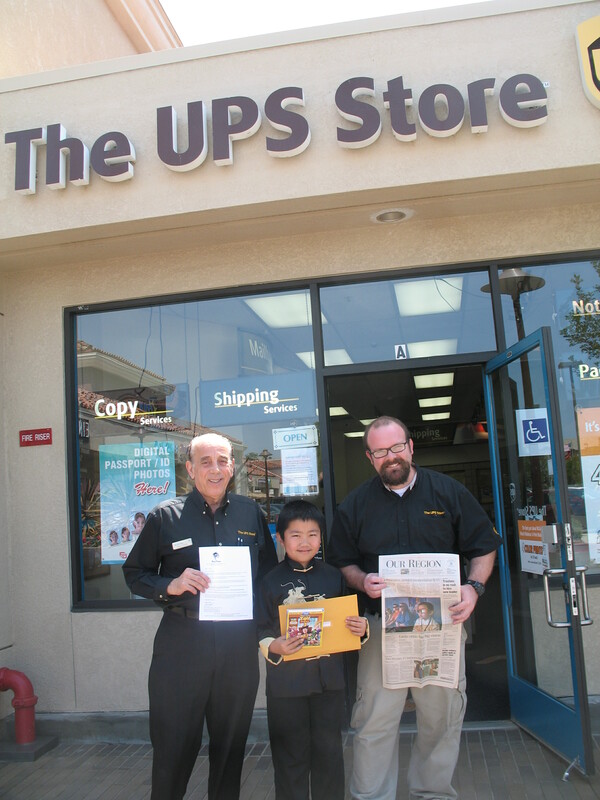 Thank Our Sponsor – The UPS Store in Del Mar Heights, San Diego! 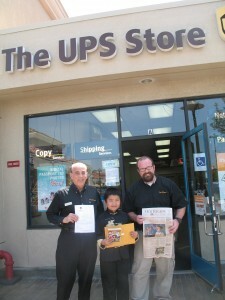 is the official shipping sponsor to the first “Amazing Kids! Perrific Oscar Picks Contest,” and helped to ship the Toy Story 3 DVDs to the 20 winners of the contest worldwide, including in Canada and India! 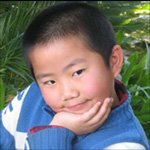 Perry Chen, Resident Film Critic of Amazing Kids!, Perry’s Previews, San Diego Union Tribune Movie Panelist, and his producer mom Dr. Zhu Shen, co-organizers of the “Amazing Kids! 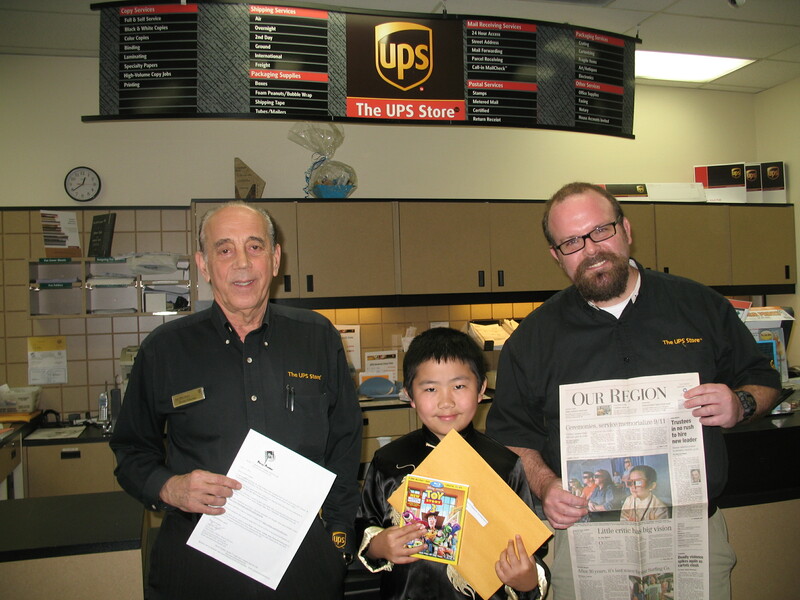 Perrific Oscar Picks Contest,” visited Fozie Mansour, owner; and Ken Shook, manager of the UPS Store in Del Mar Heights in San Diego, and thanked them on behalf of the organizer and the prize winners for their kind support. Zhu had her business cards printed in this store many times before. Their friendly service and great support earned 5 starfish from Perry! Perry’s review of 20th Century Fox new animation film RIO will be published on the San Diego Union Tribune on opening day (Friday April 15, 2011), check it out!